One of the best ways to tell large audiences about your business is to secure coverage in one of the major business publications: Forbes, Fortune, Fast Company, Money, Businessweek, Harvard Business Review and Inc. These business media giants provide high-quality coverage of top business news, including successful business and leadership strategies and innovations in technology. It might seem at first glance like there would be a fair amount of content overlap among these outlets. However, a close look will reveal that each publication is unique and has its own distinctive focus, features and target audience. This is something to keep in mind when designing a pitch because these outlets will respond favorably to differing pitch angles. The key audiences for Fortune and Forbes magazines are top management and CEOs at large corporations. Forbes covers information about successful companies and individuals. People who read Forbes want to stay on top of today’s business news and are interested in wealth, so a pitch to this publication should have a “how to get or stay wealthy” angle. You can read the best ways to pitch to Forbes here. Fortune magazine also covers trends in today’s top business world, but it focuses more on how to be a better manager. Angle your pitch to Fortune so that it frames a story that will help entrepreneurs become better leaders. Read more about pitching to Fortune magazine. Businessweek and Harvard Business Review are somewhat similar to Fortune and Forbes in content and target audiences; their audiences are also top management and leaders. However, Businessweek and HBR offer business leaders more detailed, in-depth coverage of the latest trends in technology, finance and management. Therefore, pitches to these outlets should reveal thorough research leading to solid conclusions on the topic you write about. The research part is especially essential to the HBR pitch. Businessweek is only interested in unique stories – stories never released before in any form. Entrepreneur and Inc. magazines cover news for small- and medium-business owners and entrepreneurs. They provide advice on how to make a business successful. Entrepreneur magazine strives to deliver actionable advice to business owners, so angle your pitch as a “how-to” including information that business owners could immediately apply to their businesses. Read more about how to pitch Entrepreneur magazine here. Inc. offers its readers new ideas about how to run a business. For an Inc. pitch, include an idea for a brand new way of doing business. Remember: Inc. editors are interested in your business experience, not your products or services. 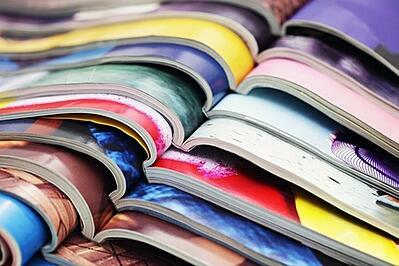 Read our blog post about how to pitch Inc. magazine. Money is a bit different from all other major business magazines to the extent that it aims for a much broader target audience. Anyone looking for information about money management can read Money. It covers a wide variety of topics about how to manage finances, including investments, taxes, personal finances, retirement and savings. Your pitch to Money should help readers make better financial decisions. Read the best strategies for pitching to Money here. Fast Company is a publication for entrepreneurs specifically in the tech business. Any story pitched to this outlet should include information about innovations in technology, leadership and design. Fast Company editors prefer stories that are documented experiences that can help other entrepreneurs in the tech business succeed. Learn how to pitch Fast Company from our blog post. Each one of these publications is a unique, valuable source of information for entrepreneurs and business professionals. Knowing the differences between them will help you write a better story and craft a better pitch, increasing your chances of securing coverage in one of these world-famous business outlets. Axia Public Relations knows the value of successful media coverage for businesses. Download a free copy of our e-book Learn Media Relations from the Media to discover effective ways to develop productive, long-term relationships with the media. Yulia Dianova is a public relations professional who is skilled in building relationships with target audiences. She provides counsel to organizations that seek PR help to further their growth and reach their goals. Yulia earned a master’s degree in public relations management from University of Maryland University College. 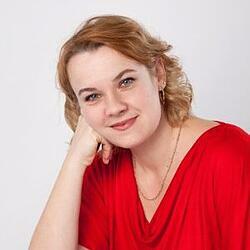 She is fluent in Russian and English and is always looking for a new challenge.